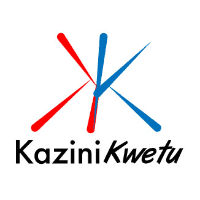 Kazini Kwetu Limited on behalf of the client is looking for a Security Officer to take responsibility in their Head Office in Dar es Salaam. Formulate and review Security and Safety strategy, plans, policies, procedures. Lead security mainstreaming and promote a positive security culture in the company. Spearhead activities that protect the staff, visitors, property and our corporate image. Proactively respond to security emergencies on our premises. Effectively liaise with state security agencies where necessary. Participate in meetings to determine security operational needs. Plan and coordinate security operations for specific events. Review reports on incidences and breaches of security systems. Investigate and promptly resolve security concerns. Prepare and submit reports for management on security status for effective decision making. Prior formal training in the military or police force.